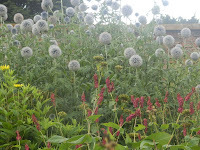 Part of my writing this blog is to venture to new local places and so with my fellow intrepid DMAF we went over the border into Northamptonshire the self-proclaimed ‘Rose of the Shires’, and to Kelmarsh Hall. Pulling up on the car park my spirits sank slightly at the sight of a coach full of late-late middle-aged people, but on the advice of the lady selling tickets we went straight for the gardens while they stampeded to the tea-room to scoff cake. Just the sort of gardens I love. Not boring sweeps of green but lots of different areas and best of all old, old walls with borders deep as my whole garden, spilling out their flowers. A little one-up-manship began with DMAF in naming flowers. Agapanthus, Euphorbia, Crocosmia, Echinacea….., we recited like middle-aged Hermiones from Harry Potter. There’s something so evocative about a walled gardens – memories of reading The Secret Garden, Tom’s Midnight Garden, and so on and DMAF and I pondered the idea of my painting my garage wall with yoghurt to get a similar ancient effect but decided it was more likely to encourage unwelcome rodents rather than an aged patina and decided NO. We’d escaped the coach party and decided tea and cake was now in order, but smelling something deliciously savoury and it being around lunchtime our plans changed and we decided on the home-made broad-bean, pea and courgette soup. We waited and waited and still no soup. After chasing up twice and with apologies and offer of a free drink the soup finally arrived. The offer of free cappuccino mollified our middle-aged irritation and the soup had us swooning with delight at how lovely it was with DMAF and I agreeing that soup was about the only thing that when well-made was both healthy and delicious and made even better as it came with lovely chunky bread and plenty of butter. 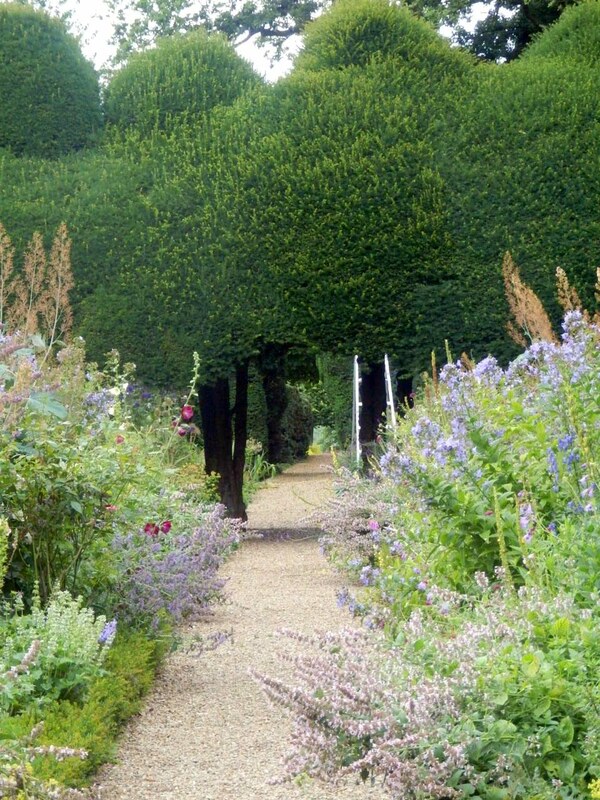 The good: Kelmarsh Gardens are beautiful with something for everyone – a woodland walk, fab borders with towering, dramatic plants, a lovely walled vegetable garden and lovely for lunch. The not so good: The wait for the soup, but what with the free coffee and the deliciousness of the soup, it was all good. Go again – Definitely. 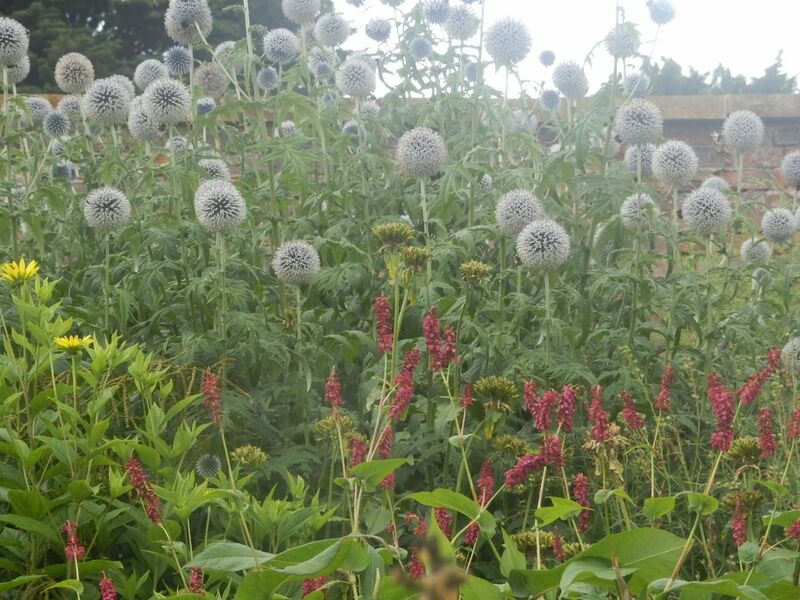 It’s worth looking at the events page of their website too as there are quite a few interesting talks, cookery demos, etc and my DMAF, hoping to find her inner artist, has signed up to an hours session of painting in the garden.